Cliff Bleszinski tried to get Master Chief in Gears of War 3, but was given the big "NO" from Microsoft. When naming the top exclusive Xbox 360 franchises, the first two that should come out of anyone's mouth are Halo and Gears of War. Both franchises are shooters, so why haven't the characters from either game ever been mixed together? Well, it was possible in Gears of War 3, but Microsoft didn't really want to see Master Chief have his limbs sawed off. Epic Games designer and rock star Cliff Bleszinski recently spoke to Complex where he revealed that a crossover was definitely in the cards. "I'll let you in on a secret," Bleszinski said. "I actually approached Microsoft on getting Master Chief into the game, but those guys are kind of squeamish." 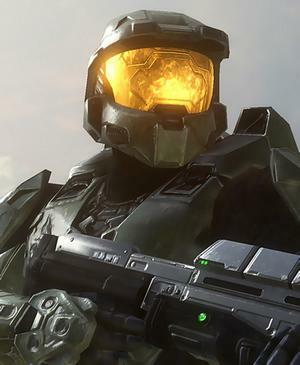 "One of Halo's successes is that it's a soft M," he added. "Gears pushes it further. I'm creatively comfortable with that, though it can limit what you do. If you had to break it down, I'd say that Gears is like Mortal Kombat and Halo is like Street Fighter." Bleszinski went on to detail his nixed plan for Master Chief in Gears of War 3. "If we were to get Master Chief, we'd get his model, put him in a COG suit, make it blow up, and do some test animation work. We'd have to see what his head looks like being blown to smithereens or how his arm would look getting sawed off." I think I'm getting the idea of why Microsoft turned Bleszinski down. Still, sometimes you have to wonder if game companies forget what they're making. Watching Master Chief getting dismembered with a chainsaw probably wouldn't hurt the Halo brand at all, and it'd be totally awesome.